Rear headroom is tight for taller passengers due to sloping roofline. Infotainment system is clunky and fiddly. No 1.5 VTEC engine. 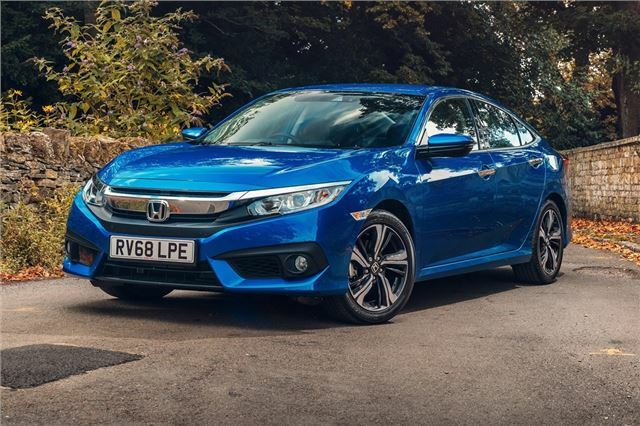 While Honda may no longer sell the Accord in the UK, that doesn't mean you can't get a decent sized four-door Honda with a boot. 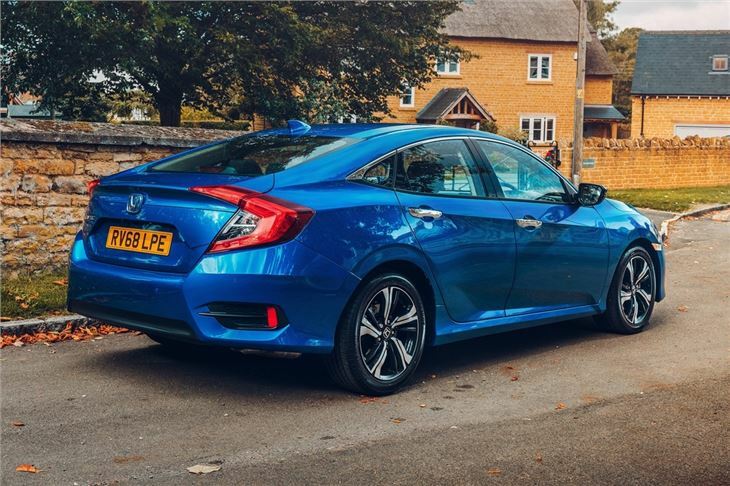 The Civic Saloon effectively replaces the Accord in the Honda line up and offers a surprising amount of room for a car based on a family hatchback. 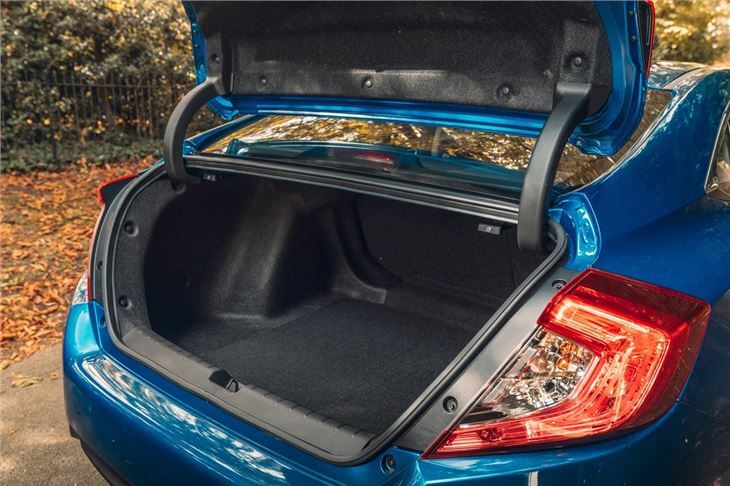 The four-door Civic is similar in size to a Skoda Octavia and is usefully practical for a saloon with a bigger boot than the hatchback - close to 520 litres - although obviously with less versatility, not helped by a high boot lip. But on the plus side, there's good legroom in the back, even if head room is compromised by that swooping roofline. 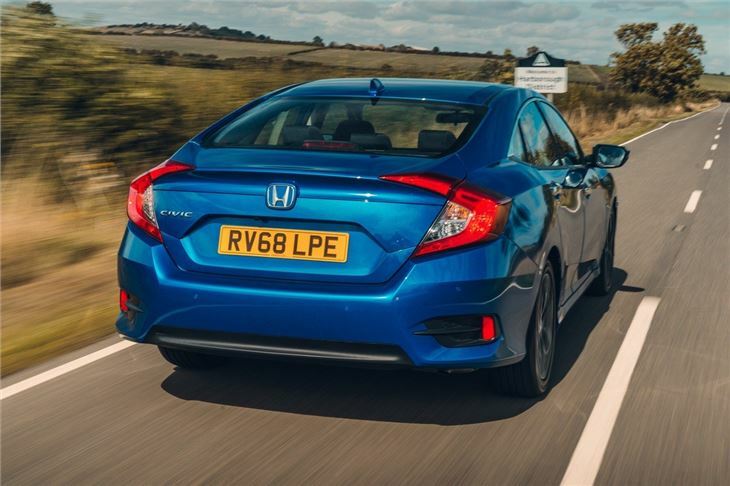 It's designed more for comfort than the hatchback, with a softer suspension set-up that will appeal to drivers spending hours on the motorway. As a result, it deals better with poor road surfaces yet still handles more than capably with little roll in corners and impressive levels of grip. There's a simple engine line-up with the 1.0 VTEC Turbo - our choice for most buyers - available with either a manual or CVT gearbox. There's no 1.5 VTEC Turbo, but the 1.6 i-DTEC is available as a manual or with a new nine-speed automatic - the latter designed to improve economy. Around town the Civic Saloon is easy to manouevre, although rear visibility isn't the best due to the thick rear pillars. Fortunately, parking sensors front and back are standard on all models, while SR and EX models get a rearview camera. 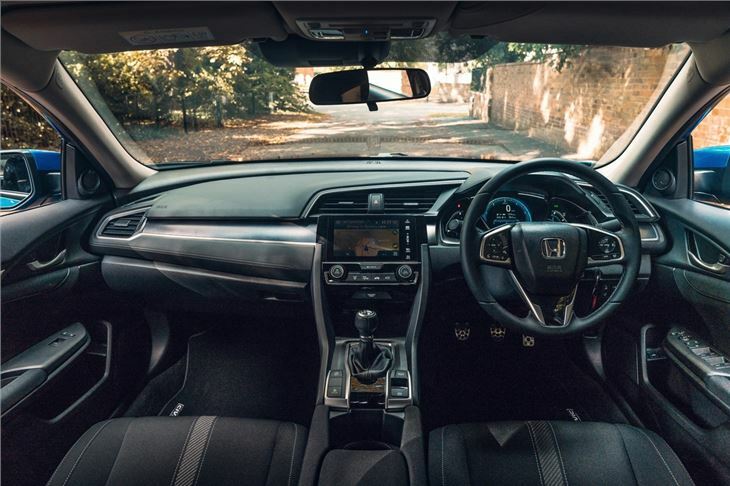 While the fit and finish of the Civic is excellent, the one thing that lets the interior down is the infotainment system. It's long been a criticism of Honda models and that's still the case here. It's fiddly to use, doesn't look great and just doesn't seem at all user-friendly. 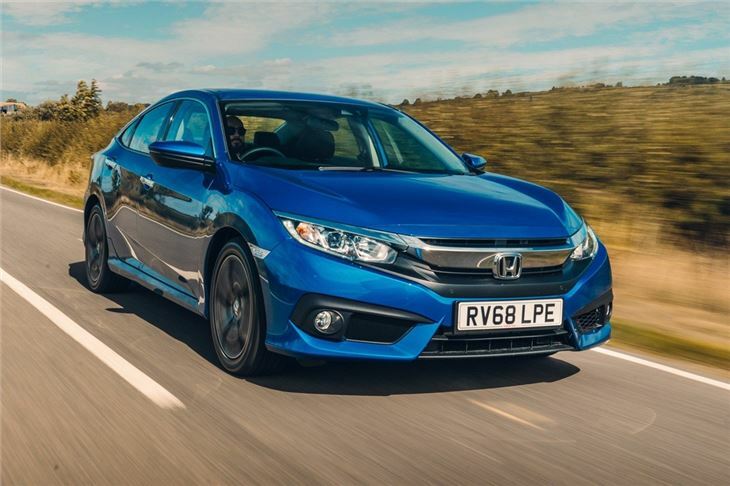 While most people will stick with the standard Civic hatchback, the saloon does have appeal, especially if you can get a deal on one. 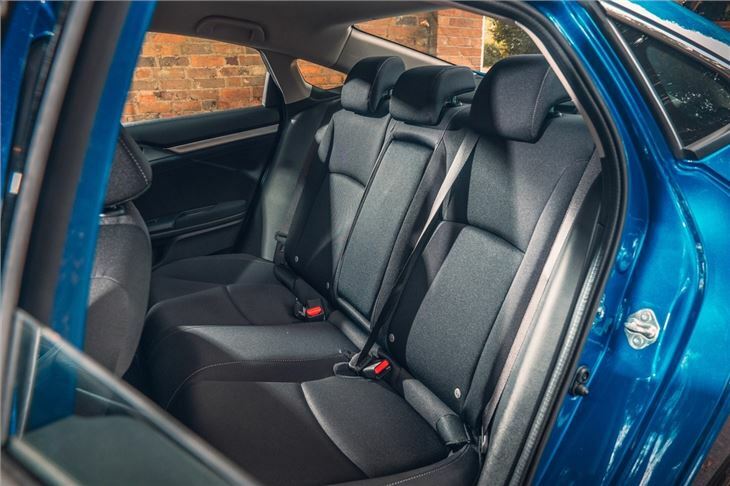 It's more comfortable than the hatch and just as easy to drive while there's plenty of room in the back and a useful boot.